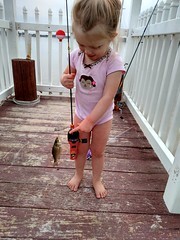 The second option is that Maryland hosts Free Fishing Days. During a free fishing day, a person may catch and possess finfish in the tidal and nontidal waters of the State for recreational purposes without an angler's license, Chesapeake Bay sportfishing license, or any fishing stamp normally required by the State, but shall otherwise observe all fishing laws and regulations. 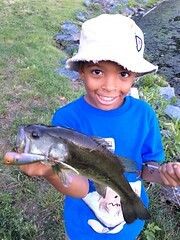 Maryland's free fishing days are the first two Saturdays in June and July 4.